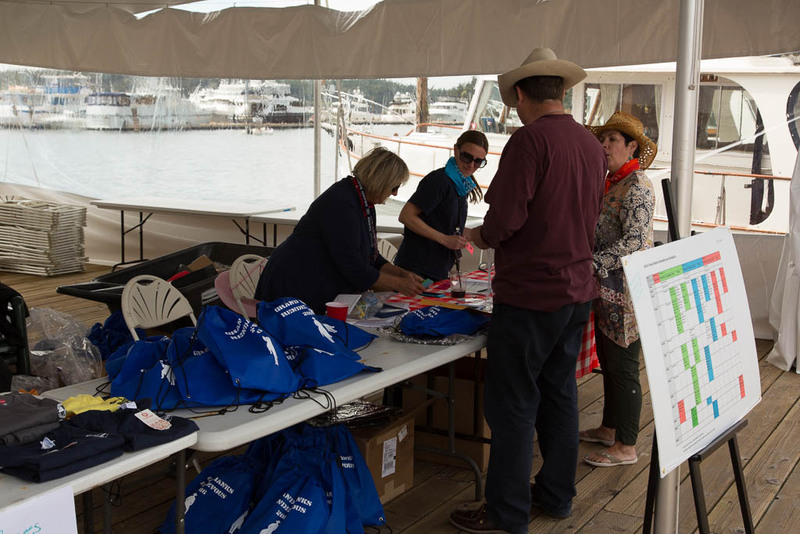 The Grand Banks rendezvous doesn’t officials start until Thursday, but Roche Harbor provides Wednesday night free to the folks coming to the rendezvous. 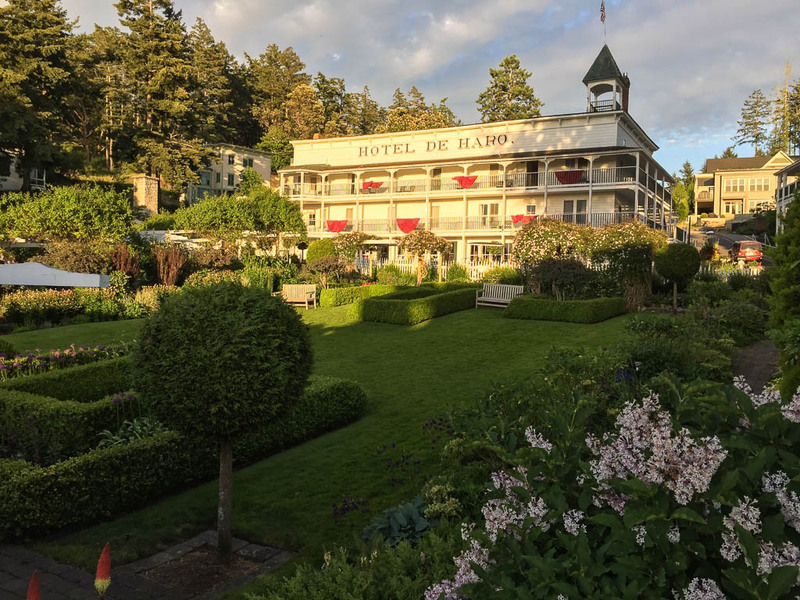 Apparently, most of us can’t pass up a free night. Roche Harbor is spectacular right now. We had dinner outside at the Madrona Bar and Grill. 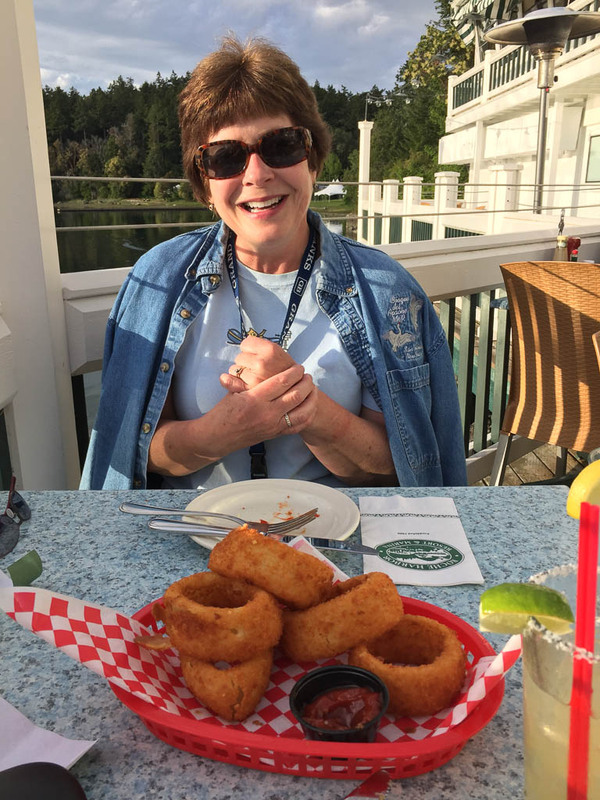 Kim ordered up some onion rings for the “appetizer.” They were the largest onion rings we’ve ever seen. Two was our limit. The rest came back to the boat with us. The salmon tacos were very good. Very Good. Evening light on the Hotel De Haro. 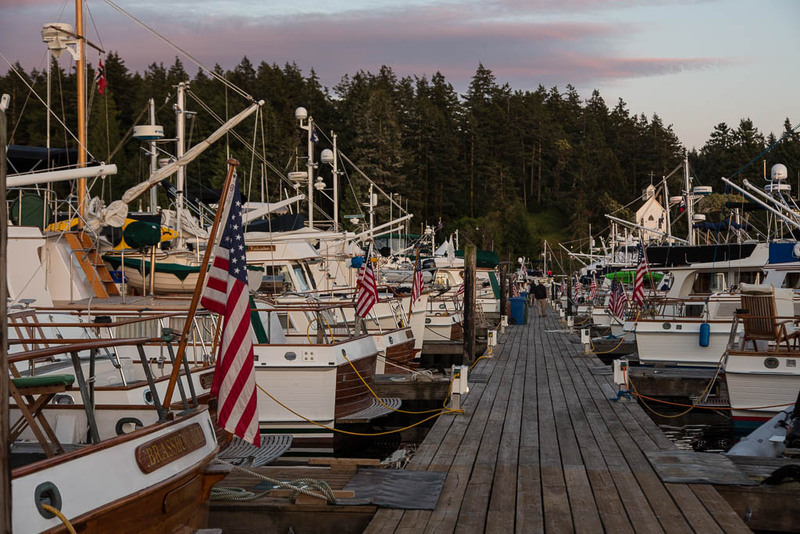 The sun sets on the Roche Harbor Marina. Over 50 of the boats destined for the rendezvous arrived on Wednesday. The rendezvous starts tomorrow morning. For us, it’s a Coast Guard Auxiliary safety inspection at 9:00. Kim is off to hear about traveling to the Broughtons. And she is also sitting in on a seminar called “What to do if the captain drops dead.” She sounded enthusiastic about it. Not sure what I think about that. This entry was posted in Destinations, Friends, Interesting, Safety and tagged Archimedes, boating, Grand Banks, Grand Banks 42, Grand Banks Rendezvous, Pacific Northwest, psgboa, Puget Sound, Puget Sound Grand Banks Owners Association, Roche Harbor, Salish Sea, San Juan Islands, Trawler by Rusty. Bookmark the permalink.